The BUSA Fleets are the premier fleet racing event on the University Sailing calendar and attract the best and brightest of student sailing talent. 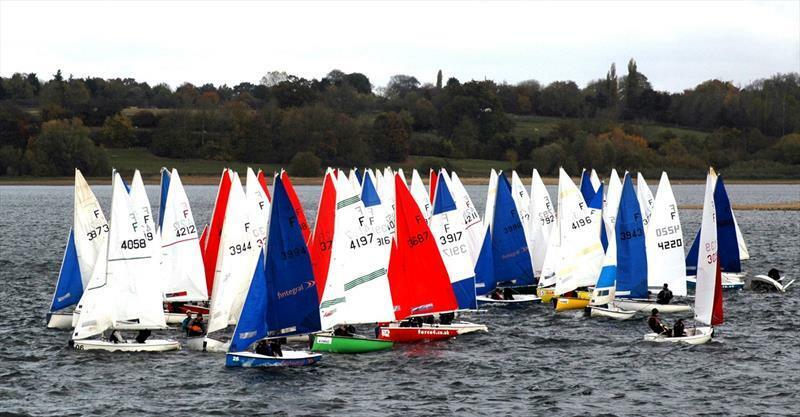 A record-equalling 67 Fireflys from universities up and down the country are registered to compete at the championships which will be hosted by Warwick University at Draycote Water this weekend – making the Firefly by far the largest and most hotly contested fleet. The 2019 Firefly Nationals are to take place between August 17th and 23rd at Lyme Regis SC and, with more boats than we’ve seen at the champs for the last two years reportedly already having booked accommodation, are set to be one of the biggest of recent times. Students who aren’t lucky enough to score themselves a freebie this weekend will be able to take advantage of massively reduced prices when entries open next month – as well as a boozy incentive provided by our sponsor for any university bringing three or more boats!